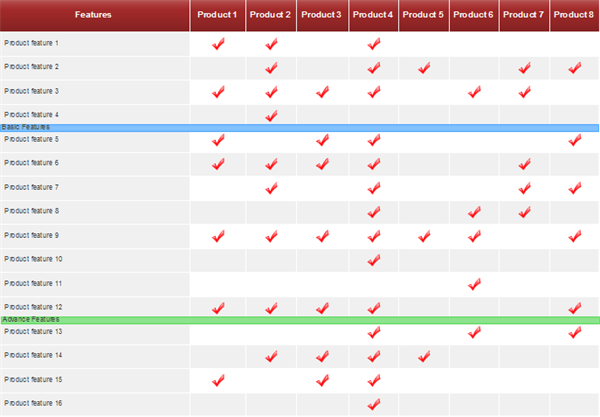 Comparison chart is designed to compare products or services and reveal differences. 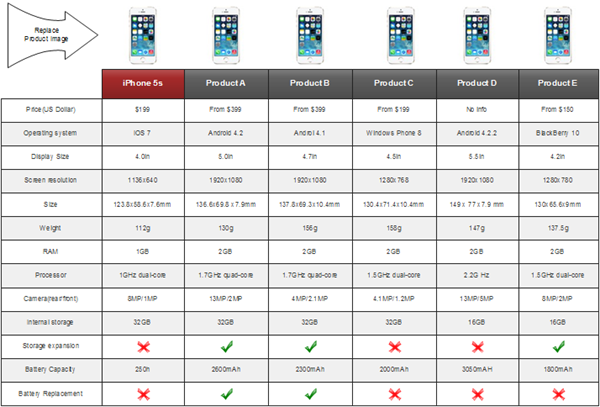 Comparison chart helps you make the most suitable choice if many options are available at the same time. While it is always important to chart your business performance to see how they are doing, oftentimes the most meaningful information you can gather is determining how well your business performance are doing compared to others' and general standard. Comparison charts allow you to perform detailed comparisons. Comparison charts simplify data in a presentable and visually pleasing way. In 1997 the Joint Commission on Accreditation of Healthcare Organizations (JCAHO) announced the ORYX initiative, which integrates outcomes and other performance measurement data into the accreditation process. JCAHO uses control and comparison charts to identify performance trends and patterns that are provided to JCAHO surveyors in advance of a health care organization's (HCO's) survey. The comparison charts provide guidance to a company about whether it should continue to monitor a process so as to maintain its current level of performance or whether it should try to improve its current performance. Comparison charts are primarily useful for communicating your study's results to your co-workers, managers, and clients in a way that is both professional and easy to understand. Many studies with amazing results are not acted on or fall to the wayside because of its confusing report. In a report, comparison charts go a long way in illustrating findings that are clear and concise. First things first, select a comparison chart shape you like from library which is on the left of the canvas. Drag and drop the comparison chart you have chosen on the drawing page. On the upper right of the comparison chart shape you may find a floating button. There are many options from the floating button. For example, you may add or delete rows and columns, you can set row and column numbers, also, you can choose to hide title bar or first block of title. You may select the whole comparison chart, and move your mouse around the quick color bars on the bottom of the drawing page to choose your favorite color. To change the row hight drag the yellow button, and to change title height, drag the yellow diamond. 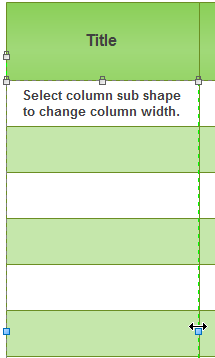 To change the column width drag the blue button. 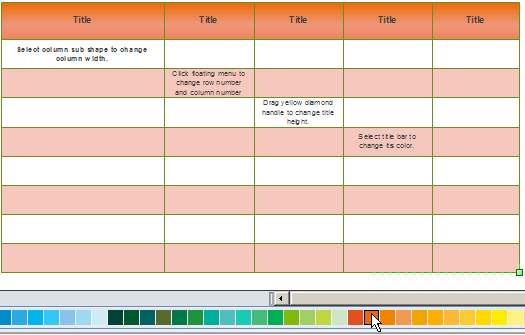 You may customize many features to make your comparison chart look more attractive.